Do we really have to do this again? As long as she is in public life, Hillary will protect and serve herself. 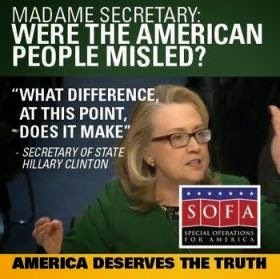 Doesn’t the latest Hillary Clinton scandal make you want to throw up your hands and say: Do we really have to do this again? Do we have to go back there? People assume she is our next president. We are defining political deviancy down. Is it too much to imagine that Mrs. Clinton wanted to conceal the record of her communications as America’s top diplomat because she might have been doing a great deal of interesting work in those emails, not only with respect to immediate and unfolding international events but with respect to those who would like to make a positive impression on the American secretary of state by making contributions to the Clinton Foundation, which not only funds many noble causes but is the seat of operations of Clinton Inc. and its numerous offices, operatives, hangers-on and campaign-in-waiting? What a low and embarrassing question. It is prompted by last week’s scandal—that the Clinton Foundation accepted foreign contributions during Mrs. Clinton’s tenure as secretary of state. It is uncomfortable to ask such questions, but that’s the thing with the Clintons, they always make you go there. The mainstream press is all over the story now that it has blown. It’s odd that it took so long. Everyone at State, the White House, and the rest of the government who received an email from the secretary of state would have seen where it was coming from—a nongovernmental address. You’d think someone would have noticed. But when you’re secretary of state you have to. So she did it her way, with complete control. It will make it harder, if not impossible, for investigators. Why doesn’t the legacy press swarm her on this? Because she is political royalty. They are used to seeing her as a regal, queenly figure. They’ve been habituated to understand that Mrs. Clinton is not to be harried, not to be subjected to gotcha questions or impertinent grilling. She is a Democrat, a star, not some grubby Republican governor from nowhere. And they don’t want to be muscled by her spokesmen. The wildly belligerent Philippe Reines sends reporters insulting, demeaning emails if they get out of line. He did it again this week. It is effective in two ways. One is that it diverts attention from his boss, makes Mr. Reines the story, and in the process makes her look comparatively sane. The other is that reporters don’t want a hissing match with someone who implies he will damage them. They can’t afford to be frozen out. She’s probably the next president: Their careers depend on access. But how will such smash-mouth tactics play the next four, five years? Back to the questions at the top of the column. In 1992 the Clintons were new and golden. Now, so many years later, their reputation for rule breaking and corruption is so deep, so assumed, that it really has become old news. And old news isn’t news. An aspect of the story goes beyond criticism of Mrs. Clinton and gets to criticism of us. A generation or two ago, a person so encrusted in a reputation for scandal would not be considered a possible presidential contender. She would be ineligible. Now she is inevitable. What happened? Why is her party so in her thrall? She’s famous? The run itself makes you famous. America didn’t know who Jack Kennedy was in 1959; in 1961 he was king of the world. The same for Obama in ’08. Money? Sure she’s the superblitz shock-and-awe queen of fundraising, but pretty much any Democrat in a 50/50 country would be able to raise what needs to be raised. She’s a woman? There are other women in the Democratic Party. She’s inevitable? She was inevitable in 2008. Then, suddenly, she was evitable. Her talent is for survival. This on its own terms is admirable and takes grit. But others have grit. As for leadership, she has a sharp tactical sense but no vision, no overall strategic sense of where we are and where we must go. What is freezing the Democrats is her mystique. But mystique can be broken. A nobody called Obama broke hers in 2008. Do we really have to return to Scandal Land? It’s what she brings wherever she goes. And it’s not going to stop.